Another Book of Ra slot comes from the Novomatic creative kitchen and it takes you to the Temple of Gold. This time with a female archaeologist ready to help you discover some riches. 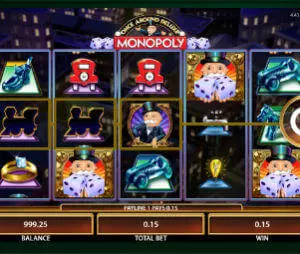 Launched in October 2017, the 5-reel 10-payline slot machine is the fourth sequel in the series and it differs from the previous releases in both narrative and bonus features it offers. Instead of one special expanding symbol, during free games you will benefit from even 3 special icons that will expand and pay scattered across the reels. Book of Ra Temple of Gold slot takes you to El Dorado, a legendary lost city of gold. Once the game loads, you will see pyramids looking as if made of gold. The legend of El Dorado is related to the Muisca, one of four advanced civilisations that inhabited the Americas before the Spanish conquest, and the reels are home to symbols depicted as golden artefacts including statues, totems and more. The top paying symbol is the female archaeologist while playing card icons make up the lower ends of the paytable. The reels are surrounded by stone carvings and greenery, which adds to the overall atmosphere of the game, while sounds are generic, just like in other Book of Ra titles. 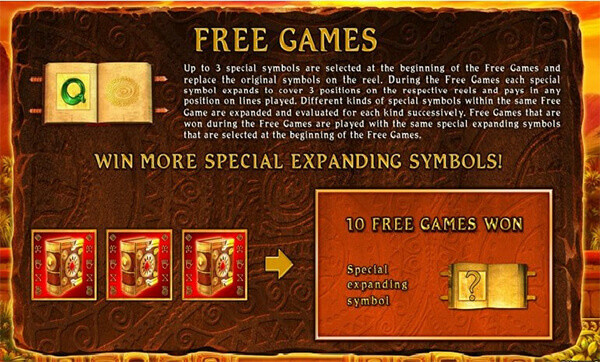 To reveal the secret key to El Dorado’s Temple of Gold, you will have to look out for the Book of Ra symbol that functions as a substitute for all symbols during the base game and triggers the free spins feature enhanced with up to three special expanding symbols. These symbols cannot be replaced by Book of Ra Scatters. Land 3 or more Book of Ra Scatters anywhere on the reels and you will trigger 10 free games. Before the feature starts, up to 3 symbols will be chosen to act as special expanding symbols for its duration. The number of special symbols depends on the number of triggering Scatters, so if you have activated the feature with 3, 4 or 5 Book of Ra symbols, you will get 1, 2 or 3 special expanding symbols respectively. These symbols will expand to cover all three positions on the respective reels and they pay scattered, meaning that you don’t have to land them left to right starting from the first reel. The free spins feature can be retriggered. There are certain improvements in this Novomatic slot machine, especially when it comes to visuals. However in terms of gameplay, Temple of Gold does not diverge from the rest of the Book of Ra slots. The biggest difference is in the free spins feature that comes with up to 3 special expanding symbols, which is a signature Novomatic feature. The number of paylines is 10, just like in Book of Ra Deluxe and Book of Ra 6 Deluxe and you should keep them all active for the best odds of winning. You can wager from only $0.10 up to $100 per spin, which is a betting range suitable for all kinds of slot enthusiasts.